The former aide of Dawood Ibrahim, Shakeel Ahmed Sheikh who is also known as Shakeel Lambu passed away at Jaslok Hospital on Monday in South Mumbai. Shakeel Ahmed was having heart-related health issues and was admitted to the Jaslok hospital for treatment. Shakeel Lambu left India after the Mumbai Serial Blasts that happened in 1993. The police arrested Shakeel in 2003 after he returned to India, tip-offs were given by central agencies that he was returning to India. Reports suggest that Shakeel Lambu played a big part in smuggling explosives into India and did the blasts at the order of Dawood Ibrahim. In 2006, due to lack of evidence, all the charges against Shakeel Ahmed Sheikh were acquitted. 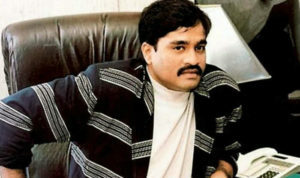 The funeral of Shakeel Lambu was attended by former members of Dawood Ibrahim’s gang, it is said that Salim Fruit, Hanif Shaikh who is also known as Hanif Kutta, Mazhar Chakla also known as Mazhar Bapu, members of the Dossa Family, Sarang the nephew of Dawood, Ali Shah the son of Haseena Parker and Ahmed Langda the brother of Farooq Takla were all present during the funeral. Officials from the Mumbai Crime Branch were also seen during the funeral which was held at the Bada Qabrastan Cemetery at the Marine Lines. The police officials were wearing normal clothes and were keeping a close eye at those people who attended the funeral of Shakeel Lambu. Shakeel Lambu took charge of D-Company after Dawood Ibrahim left India in 1985. It is said that Shakeel Lambu is close to Mohammad Dossa, rumors suggest that Shakeel also handled the finance of the gang after members of the D-company left India.